﻿ Zhangjiajie JiuRui Biology & Chemistry Co., Ltd.
Zhangjiajie JiuRui Biology & Chemistry Co., Ltd.
JiuRui Biology & Chemistry Co., Ltd., held by Tianjin Jiurui Biochemistry Co., Ltd., is situated in Zhangjiajie Economic Development Zone, Hunan Province and covers an area of 130,000 sq. meters. 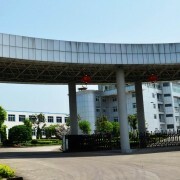 Its R & D center is located at Tianjin High-tech Industry Zone. Relying on scientific research strength of Tianjin Nankai University and making use of vast natural resources of Wuling Mountains ,the company focus on extraction and processing of natural products. Currently, it mainly produces Gallnut products, Steroid products and Hesperidin. It has advanced technology and owns the greatest processing Gallnut capability in China. Moreover, it has gained certificates of ISO9001-2000,HACCP, HALAL, FAMI-QS and KOSHER and carried out the pre-registration of REACH.